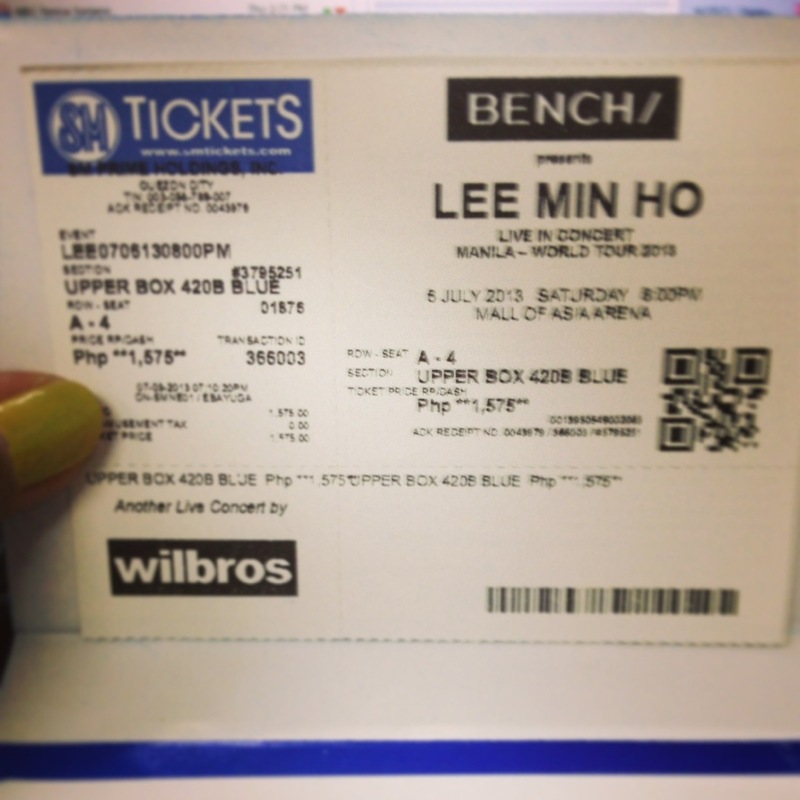 July 6, 2013, Manila is all set and excited to see the Korean superstar, Lee Min Ho back on stage not just to meet and greet his fans but to give his fans the My Everthing album. This is his gift to his Filipino fans and ofcourse i wouldn’t miss this rare chance to see and hear his voice. Too bad I only have this ticket, but still I’m excited to see him and perform for his fans. This is a different side of Lee Min Ho that we haven’t seen the last time he was in Manila back in November 2011. To all Minoz fans see yah later at SM MOA Arena. To all Lee Min Ho fans its confirmed! 🙂 🙂 🙂 He’ll be back to Manila for his My Everything World Tour on July 6, 2013 at Mall of Asia Arena. I hope there we’ll be a meet and greet again before the concert. ^_^ I’ll be waiting!